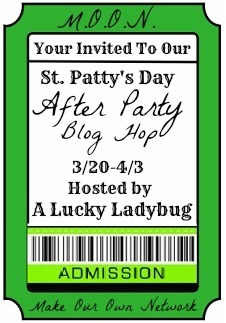 "St. Patty's Day After Party - Embrace the Green"
This is a long post so be patient as things load but get excited as you will see all the great prize packages we have available to win! There will be 5 winners chosen from the Grand Prize Rafflecopter form found below. Each will wine one of the great packages found below all valued at around $95 or more!! After you are done entering for the Grand Prize be sure to check out these other great giveaways offered by a bunch of amazing bloggers on the linky below the rafflecopter.